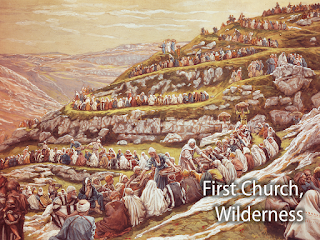 During the first season of his podcast, storyteller, W. Scott McAndless is retelling the story of the nativity of Jesus from the Gospel of Luke, trying to help us to see some of the historical and biblical references the author is making - helping us to hear the story more as the author may have intended. 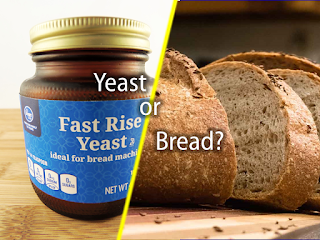 In today's episode, we jump back before the beginning to trace some of the reaction to the census that was taken at the time when Jesus was born. 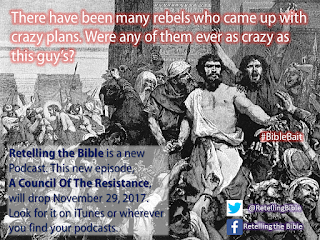 A rebel named Judas and his friend, Zadok, plan their response to the Roman initiative - a response that will have a big impact on the birth of Jesus and of the Christian faith. 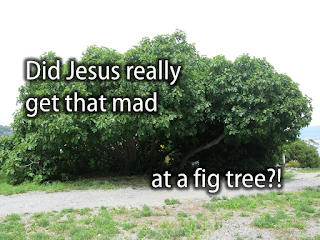 Did Jesus really get that mad at a fig tree? 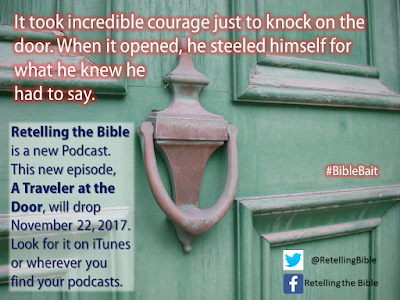 Today the 7th Episode of the Podcast "Retelling the Bible" came out. During the first season of his podcast, storyteller, W. Scott McAndless is retelling the story of the nativity of Jesus from the Gospel of Luke, trying to help us to see some of the historical and biblical references the author is making -- helping us to hear the story more as the author may have intended. In today's episode, Mary and Joseph finally arrive in Bethlehem after their long and difficult journey and seek shelter even as Mary approaches her time to deliver. 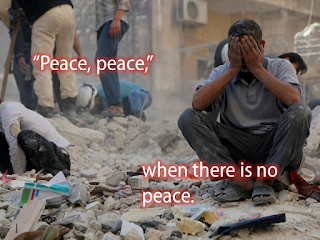 They are seeking hospitality in a very particular place - just not necessarily at the particular place we have long assumed. This is just a reminder that the book that will revolutionize your knowledge and understanding of the Bible's story of Christmas is available now and can still be shipped before Christmas (or in the case of the ebook immediately). Are you really going to let another Christmas go by without getting the inside scoop on the season? 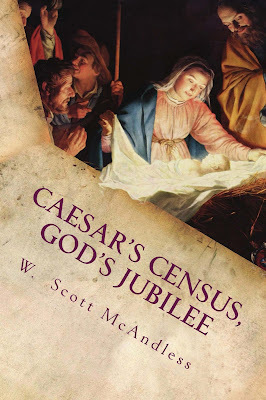 The Gospel of Luke alone tells the story of the birth of Jesus set against the background of a census taken on the orders of Caesar Augustus. This historical setting has always raised serious questions: Was there ever really such a census? Why does Luke describe the census as being carried out in a manner that does not fit with what we know of Roman practices and policies?